SCOTT: What? What’d I say? ALEX: Don’t talk so loud! The Boss hates that movie! ALEX: He has a special phrase reserved for that particular literary work. 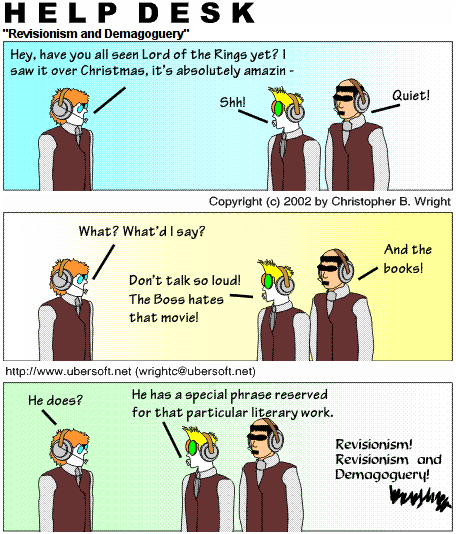 BOSS: Revisionism! Revisionism and Demagoguery!